Build and maintain scalable and high performing web sites and solutions, consistent with our quality and branding guidelines. Develop and optimize existing features, as well as prototype and implement new projects. Ensure that Front-end web sites are responsive, cross-browser and on mobile. Develop secure and robust API applications to serve data and integrate with enterprise systems and public services. Work in an Agile environment (Scrum, XP…), and be part of the continuous improvement of the Digital Operation Team with new practices, ideas, concepts, methods and technologies. Knowledge in developing and integrating services using AJAX, RESTful APIs. Basic understanding of web applications and architecture implementation (HTTP, API, Middleware, Micro-services, Web securities practices, Load balancing…). Comfortable with version control systems (GIT). Comfortable with Linux/Unix/MacOS for development. Be familiar with DevOps tools would be a plus (Jenkins, AWS, Docker). Curious and fun change agent with entrepreneurial mind-set. Self-motivated team player who excels in a collaborative environment. If you have the experience, expertise and are passionate about making innovation a reality and meeting high expectations of customers, this is the opportunity for you. To apply online, please click on the appropriate link. 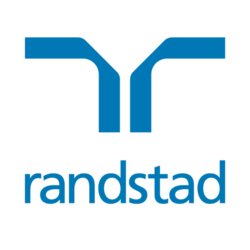 Alternatively please contact Angie at 0320366618 or email angie.liew@randstad.com.my to discuss more on the opportunity.